Kiernan Group Holdings (KGH) offers a variety of training opportunities and sessions which are metric-based, in compliance with national level standards and guidance and a suite of audit-ready analytic tools for use by training managers and HR professionals. KGH’s analytic services include competitive intelligence, open-source analytics, market analysis, and investment opportunity identification, access to technology and advanced training, and the identification and integration of breakthrough ideas and subject matter experts. These incidents occur where we work, where we learn, where we serve, and where we worship, as we recently witnessed at the Tree of Life Synagogue in Pittsburgh on an early Saturday morning, where congregants gathered to celebrate life. They can occur even where we go to play as we learned from the 1 October event in Las Vegas, and more recently at the Borderline Bar and Grill in Thousand Oaks California, filled with college aged young adults. 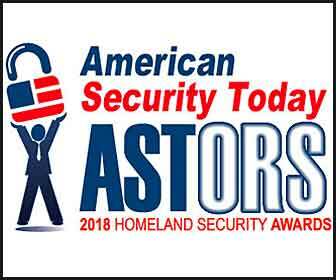 KGH has been honored with two Platinum awards from American Security Today, for developing a common sense approach to preparedness from the classroom to the boardroom. From a business perspective, KGH offers a variety of training opportunities and sessions which are metric-based, in compliance with national level standards and guidance and a suite of audit-ready analytic tools for use by training managers and HR professionals. In September 2012 following the shooting at Accent Signage Company in Minneapolis, Minnesota, several civil lawsuits were filed against the company, which alleged that the company should have known from the shooter’s work history that he was potentially dangerous. Following this shooting, the Occupational Safety and Health Administration (OSHA) changed its General Duty Clause to include active shooter incidents as a recognized hazard in the workplace. Pending legislation (H.R.7141) will, if passed, make education and training on workplace violence a requirement. KGH’s analytic services include competitive intelligence, open-source analytics, market analysis, and investment opportunity identification, access to technology and advanced training, and the identification and integration of breakthrough ideas and subject matter experts.